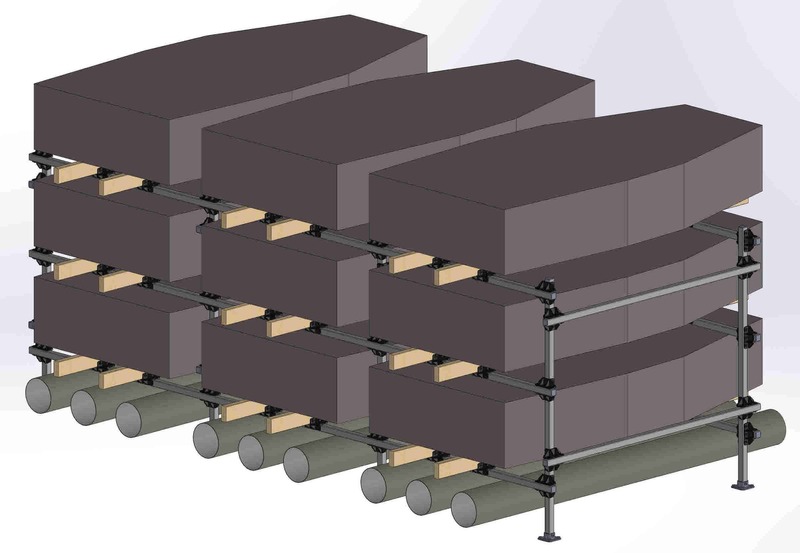 Dynamic Dollies & Racks has developed several different types of storage racks. 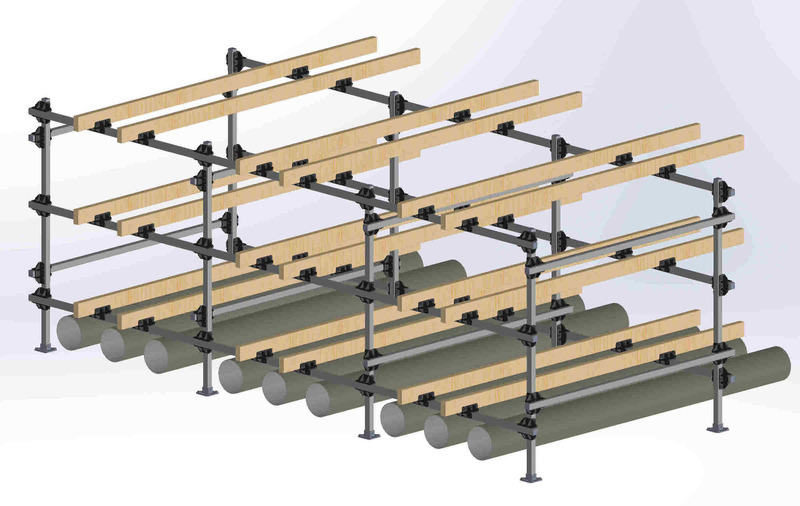 Two, a 9-boat Optimist storage rack, and a 16 Laser storage rack, are examples shown here. This 9-Boat Optimist Storage Rack has it all. PVC storage tubes mounted below with optional aluminum locking doors allow the sails and spars to be kept on the float and dry. Pressure treated 2×3 wooden runners allow for sailors to pull out any boat on the rack. This is a great option for privately owned boats – without runners it can be difficult to get upper or middle boats out of the rack, as you can’t climb through the rack to lift the boat out. 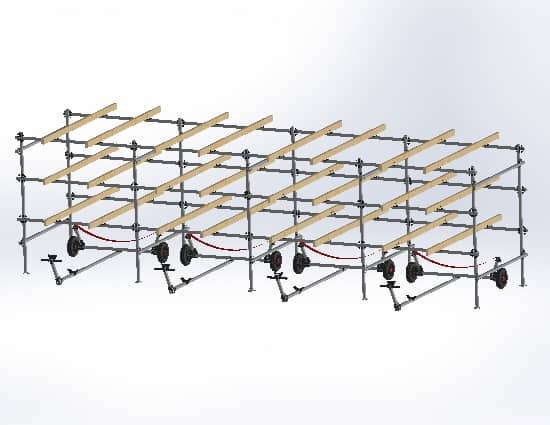 This modular rack system is designed to store 16 Lasers – twelve on the rack and four on dollies. It uses a “Left Bay’, two “Mid Bays” and one “Right Bay”. 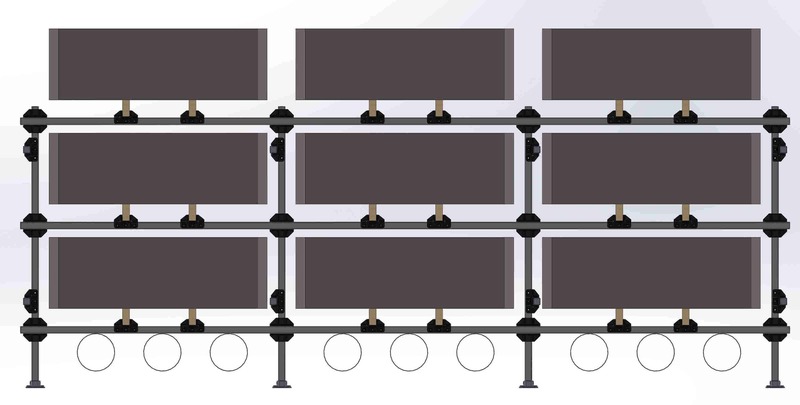 Using this system, the user could choose a rack that stores any number of boats in increasing quantities of four. 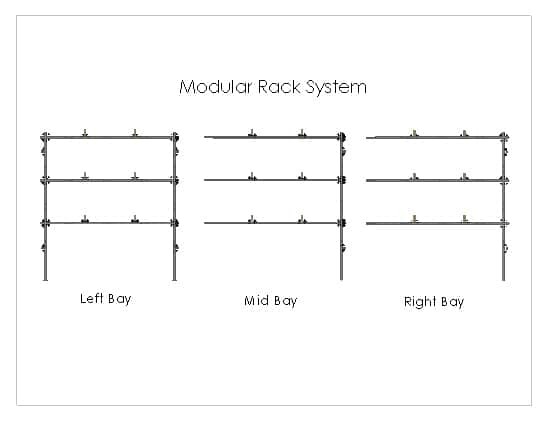 The modularity of the rack allows bays to be spliced together saving material and reducing the price per boat to the end user. The runner style is very popular when the boats are privately owned as the use of wooden 2×4 runners allows you to slide any boat in in and out without having to climb through the rack. The runners could be substituted for rack pads at the buyers request. 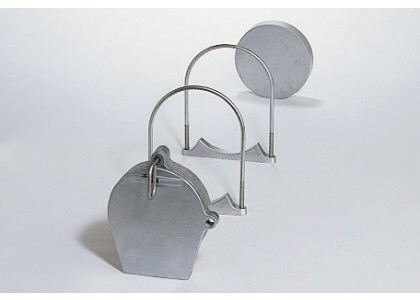 Similar systems have been made for other types of boats or even multiple types of boats on one rack.